Interview Guests for Sports Talk Radio & Podcasts - Radio Guest List.com - How to Get Radio Interviews and Find Podcast Guests! To find guests to interview on a sports talk show or sports interview segment can be easy! If you are a new, local, small or college radio station sports show or a regional sports podcast it doesn't have to be hard to find athletes, fans, or coaches to interview. If you're looking for experts who can talk on your show, simply use our free "Guest Request" booking service by filling out this free Guest Request form here. We’ll share your request for ESPN-style interview guests with our worldwide audience for free! 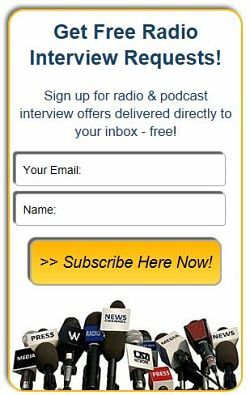 Posting it on our website and sending it out in our e-mail newsletters will get you all whole bunch of sports experts offering to appear for interviews on your radio show, sports talk segment, or sports podcast. Try our free Sports Guest Request service here now.